Its National Pothole Day! 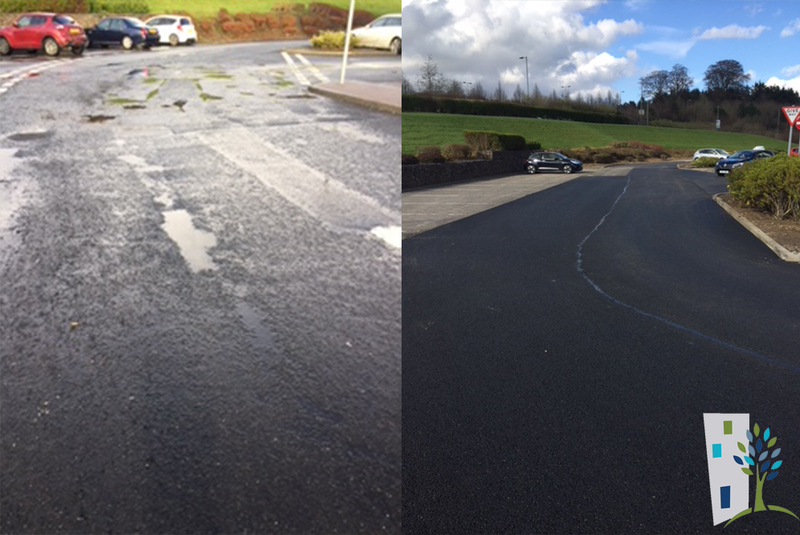 Pothole repairs are one of the many services Inex can provide be it patch repairs or full resurfacing. 15 January 2019 … [Read more...] about National Pothole Day! Merry Christmas to all our customers, suppliers and employees. We hope you have a lovely Christmas and a very Happy New Year when it comes! 24 December 2018 … [Read more...] about Merry Christmas and a Happy New Year! Inex are now working in conjunction with the Healthy Working Lives Programme to promote and enhance the health and well-being of all staff. 21 December 2018 … [Read more...] about Healthy Working Lives Programme! 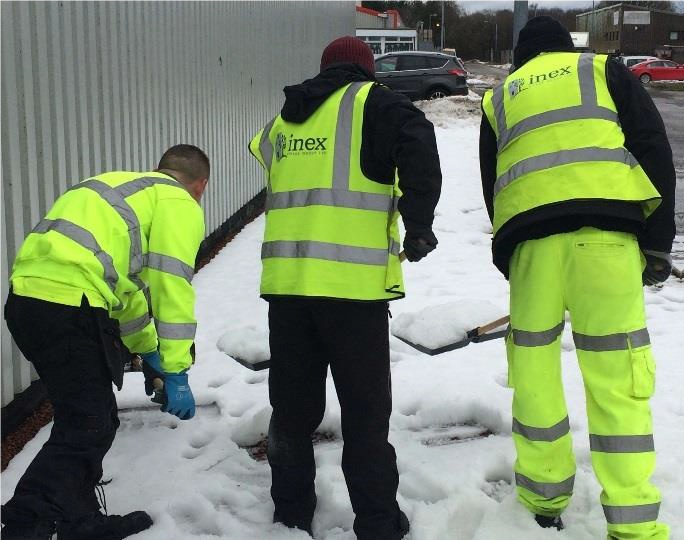 Inex Works are accredited in ISO9001:2015 - Quality Management, ISO14001:2015 - Environmental Management and ISO45001:2018 - Health & Safety Management as part of an integrated system! 19 December 2018 … [Read more...] about Did You Know? 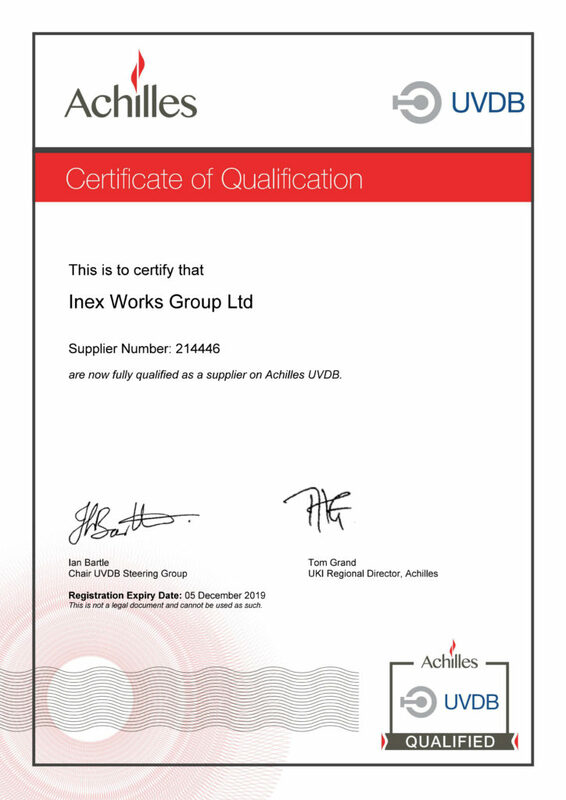 Inex are happy to say we are now re-accredited for Achilles for another year! 14 December 2018 … [Read more...] about Re-Accredited for Achilles! The frost has arrived. For the first time in many years, gritting services have been required in the month of October across all of Scotland. With the extreme weather conditions experienced so far in 2018, snow and sun, it is evident that climate change is in full force. Health and Safety will … [Read more...] about Grit the Ground Running! 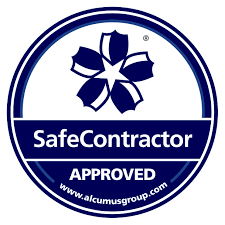 We are delighted to announce that we have renewed our accreditation for Safe Contractor for another year! Click the link below to see our certification. 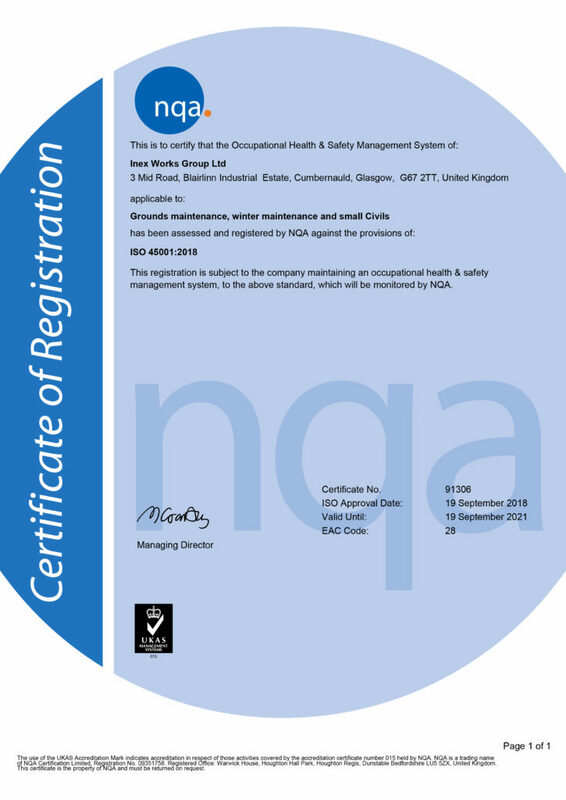 Safe Contractor Certificate 08 October 2018 … [Read more...] about Safe Contractor Registered!